Communities around the world are planning Make Music Day festivities, with events in over 800 cities and 120 countries on June 21. In the US alone, there will be over 4,000 free concerts in over 50 cities. The annual global celebration of music brings people of all ages, backgrounds, and skill levels together to make and enjoy music. Join in the fun this year! U.S. cities hosting major celebrations include New York City, Los Angeles, Boston, Chicago, Cleveland, Detroit, Madison, Milwaukee, Minneapolis-St. Paul, Nashville, Pittsburgh, Portland, St. Louis, San Jose, Seattle, Washington, D.C., and more, with festivities being held in many other communities around the world. 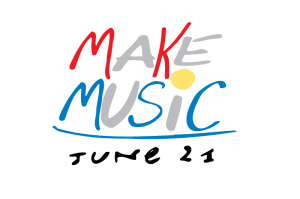 Visit MakeMusicDay.org to find one near you—and create your own by sharing your favorite songs with your children, families, and friends. 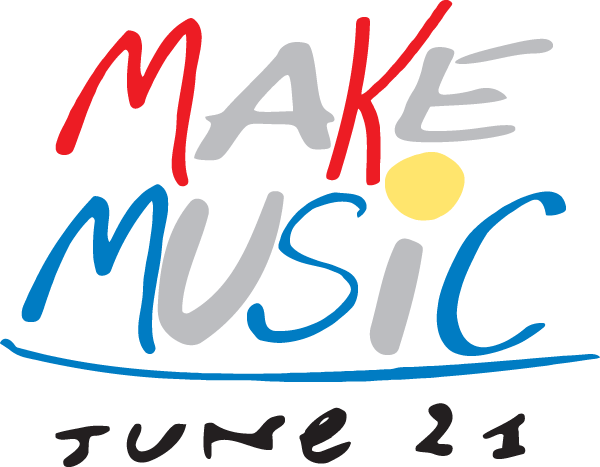 Make Music Day celebrates and promotes the natural music-maker in all of us, regardless of ability. Every kind of musician—from bucket drummers to opera singers—pours onto streets, parks, plazas, porches, rooftops, gardens, and other public spaces to share their music with friends, neighbors, and strangers. Based on France’s “Fête de la Musique,” a national musical holiday inaugurated in 1982, musical events take place in more than 750 cities in 120 countries, including the U.S., Germany, Italy, Greece, Russia, Lebanon, Ivory Coast, Australia, Peru, Brazil, Ecuador, Mexico, Canada, and Japan. More than 175 Mass Appeal events nationwide will bring together musicians of all levels and ages to make music in large, single-instrument groups led by experienced facilitators. Instruments with Mass Appeal events include guitars, harmonicas, accordions, ﬂutes, percussion, trombones, bassoons, French horns, synthesizers, ukuleles, djembes, harps, voices, dulcimers, and more. Free guitar, harmonica, ukuleles, drum and other instrumental lessons are also being oﬀered. In New York City, there will be a citywide celebration of music, with free, outdoor performances in public parks, sidewalks, community centers, and more. Some highlights include “The Well-Tempered Clavier at the 9/11 Memorial Plaza,” which will showcase professional and student pianists performing preludes from J.S. Bach, and Improv Everywhere, which will host a new participatory audio adventure, “The MP3 Experiment Number Fifteen,” at the Brooklyn Bridge. Sousapaloozas in Chicago, Cleveland, Iowa City, Minneapolis-St. Paul, Salem, and Wichita will bring together hundreds of brass and wind music musicians to play the music of John Philip Sousa. Street Studios will feature DJs and producers bringing gear and engaging passersby in the spontaneous, collaborative production of original music on the streets of cities across the US (Chattanooga, TN; Detroit, MI; Los Angeles, CA; Montclair, NJ; Mountain View, CA; Nashville, TN; New York, NY; Reedsburg, WI; Salem, OR; Seattle, WA; Somerville, NJ; Stamford, CT), and the world (Bangalore, Budapest, Lagos, Moscow, Querétaro). Music Together centers across the world are celebrating Make Music Day, too! Here are a few highlights. Arts from the Heart, in Tolland, Connecticut, will host a Sing-along Potluck at the park. Ensemble Music, in Minneapolis, Minnesota, will lead a family music class outside. Music Together Beaverton, in Beaverton, Oregon, is hosting a gathering for songs and instrument play at the playground. Songbirds Music, in San Diego, California, will hold a musical morning sing-along. Tiny Music Makers, in Toulouse, France, is organizing a free family jam and sing-along, storytime, and arts and crafts. We Happy Beat, in Nagoya, Japan, will run a free drum circle. Musical instruments will be provided. West Essex Music Together, in West Orange, New Jersey, is planning a family music parade and a Family DIY Jam Session, where families can make music from ordinary household objects. Musical Folk, in New Haven, Connecticut, is hosting a Family Singalong. Watch director Liz McNicholl on CT WTNH News Channel 8.